I'm after some advice. My beautiful boy is 16 months old now and he's a painfully picky eater..do many of you find this an issue with your chows? Ori has recently had a mild stomach infection and lost a lot of weight - hes 20kg now and he was 24 before (and even getting back to 24kg is going to be a mammoth effort). The vet says he isn't underweight anyway, but I am finding that Ori putting weight on is next to impossible because he rejects all food - I'm pretty much as wit's end because him not putting weight on is obviously stilting his growth in general and we've tried so many options - all sorts of luxury dog food and also home made stuff. He seems to grow bored of everything after half a bowl... my vet says not to worry because chows grow to full size quite slowly compared to other breeds but even so, i'm thinking he should be at least a little heavier at this stage..
Hope your Chows all had a wonderful Christmas and that santa was good to them! yes Chows can be picky eaters. Simba is one of them, I my case Nala who is a foodie who helped. Simba learned to eat his share as Nala always threatened him to finish his portion as well. Kidding aside, If the stomache problem is completely solved and no other health issue is present, the most important thing is to relax if it comes to food. Feed him once or twice a day. Since he needs to gain weight, twice should be just right. Leave the food with him for 20 to 30 minutes then remove it. Don't make any fuzz him eating or not eating. Stay calm, ignore him the moment the food is down on the floor. A healthy dog will eat !!! just ensure there is no hidden sickness. provide unlimited access to water. don't give any treats just because he is so cute. if he does something very well, reward him, but no other free snacks. 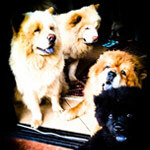 All of our 3 chows we have ever had were or are picky eaters so don't worry about it so much. Some people say leave the bowl down for a certain amount of time but we have always had food in their bowls 24/7. 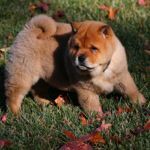 Unless your chow is overweight it's an option. Currently we have a chow and a boxer. The boxer eats her food very fast but knows not to eat out of the chows bowl even if there is food in it. You can try each way and see what works best for your dog. 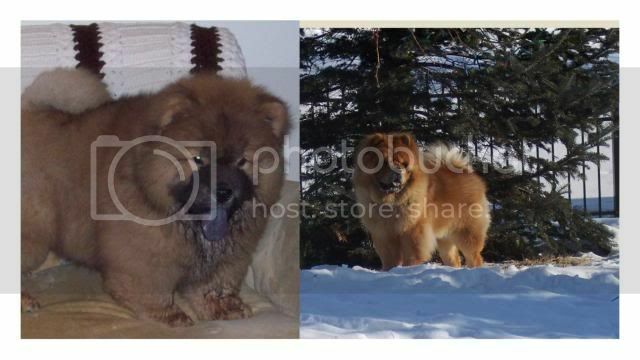 Chows do seem to do better with structure in their lives but feeding them it's whatever works best for you and them. All of our chows ate different amount each day, some days not so much and others a lot more. Our second chow would eat in the middle of the night. Our current chow Brutus seems to eat way more in the evening maybe because we are home from work and he has more time in the yard afterward. He has gotten better with eating as he got older but this morning his bowl is still full. Just a thought: you may want to cut down on the variety. Decide on a good food that he likes at first, then stick with it for a while. If you want to combine with home cooked, stick with 1 or 2 "meals". As someone has already pointed out, they won't starve themselves. My pup has been with me 4 weeks. I started him out with the kibble the breeder provided, then weaned him to another kibble that he liked. He gladly ate this plain kibble for more than a week before I (mistakenly?) introduced small bits of chicken scraps into a meal. After that, he wouldn't touch the plain kibble. I could've (should've?) let him get hungry enough until he would eat the plain kibble, but I didn't. So now the routine is to add a small amount of hot water to chicken (turkey right now) scraps to make a broth, then mix in dry kibble. If he doesn't finish the meal after 5-10 min., I remove the bowl. I'm still researching, but for now I've decided to stick with this one puppy kibble for his first year. A case could be made to switch protein type (current kibble is salmon based) or adult kibble earlier.